They will use creative thinking combined with traditional styles. Campers will start their day with analysis and discovery of a specific technique, from drawing/sketching to ceramics and painting. 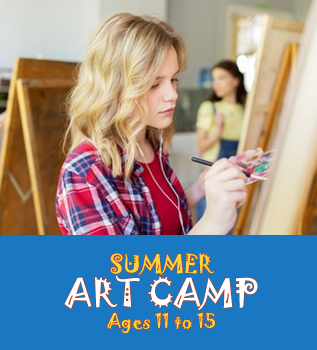 Our camp instructors have many years of experience with young artists enabling them to create the most engaging, fun and educational experience for your child. *May be combined with lunch break and be held outdoors as weather allows. 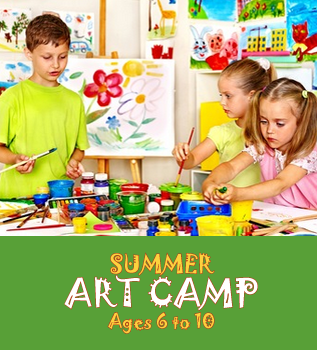 Our Summer Camp Program runs throughout the month of July, in 5-day sessions. Choose which week in July you'd like to register for below. EARLY BIRD REGISTRATION IS OPEN. Receive $30 off Full Day camp fee and $20 off Half Day camp fee until April 30th!